To apply to demo, please fill out this form. Beespoke is a recommendation network helping households connect with the service professionals used and trusted by their friends, peers, and local communities. Beespoke replaces impersonal stars and anonymous reviews with personal recommendations from trusted sources, to change the way Londoners find recommended providers for themselves, their homes, and their loved ones. Through its recommendation system, Beespoke also serves the service professionals and small service businesses recommended within the network, by turning past, current, and future clients into a constant stream of new customers. CareAcross is focussing on cancer. We provide personalised services to patients/caregivers through private online platforms: they enter anonymous data which our dynamic algorithms match with published research and scientific guidelines. This enables us to offer highly tailored evidence-based guidance to help improve their quality of life. For example, the diagnosis, treatment and co-morbidity information yields 20,000 guidance combinations, and each patient will receive the right one for their situation/needs. Beyond this input, we collect and analyse nutrition, exercise, weight, social habits, side-effects, supplements, medical outcomes, and more information, to derive the most appropriate way to help each individual patient. CityMunch connects restaurants and potential customers via a real time offers platform. For consumers, we're the quickest and easiest way of saving money on eating out. For restaurants, we're a means of spreading the word, filling off peak hours and minimising food waste. Feral Horses is a startup, operating in the ArtTech market, that gives the possibility to anyone to invest in art. The online platform has a primary market where investors can buy shares of artworks at a fixed price directly from artist and galleries and a secondary market, where investors can trade the shares they own among each another. Art pieces are rented to long-term tenants including startups, hotels, and property managers, among others; the benefits of this activity are then proportionally divided among the share-owners, just like dividends. HYPER CRUNCH is a leading Social Media and Reputation Platform. We work with various UK businesses. For a low monthly fee, we manage all the aspects linked to Social Media, CRM, Marketing Automation, reputation management & email marketing. We do all the heavy lifting across channels so you can free up to 30 hours per week to focus on your core business. SeedLegals is a revolutionary new way for founders and investors to complete the legals for a funding round. Using a combination of machine learning, document automation and clever engineering, we have transformed the old way of using lawyers with a beautifully simple platform that cuts the time and cost to close a round by 90%, letting founders instantly generate, negotiate and complete the essential agreements they need to grow and run their business. Skillhunt is a game-changing recruitment platform for referral-based hiring, which is aimed at eliminating recruitment agencies and bringing top candidates directly to employers. Skillhunt's mission is to disrupt today’s recruitment marketplace - making it simple, fair and sensible. We believe that a socially-vetted candidate pool, combined with reward-based referral system will help in recruiting the best talent. 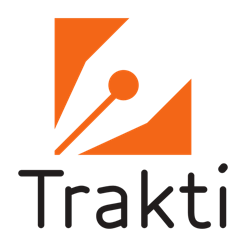 Trakti is a peer to peer contract negotiation and management platform integrated in the blockchain. Our platform automates your contract templates and let you empower them with our smart contract technology, simplifying and streamlining the entire life cycle of commercial contract management. We empower contract’s professionals and their companies from request and negotiation through contracts approval, e-signature and obligation management and payments in one unique stream. The innovative capabilities of Trakti allow companies to negotiate contracts in multiple ways, maximising throughout in compliance and with a bespoke approach. Trakti supports both procurement and sales department. To book a ticket, please use the 'book place' link.